This year all four NYOS Training Ensembles were held consecutively over nine days in Perthshire. 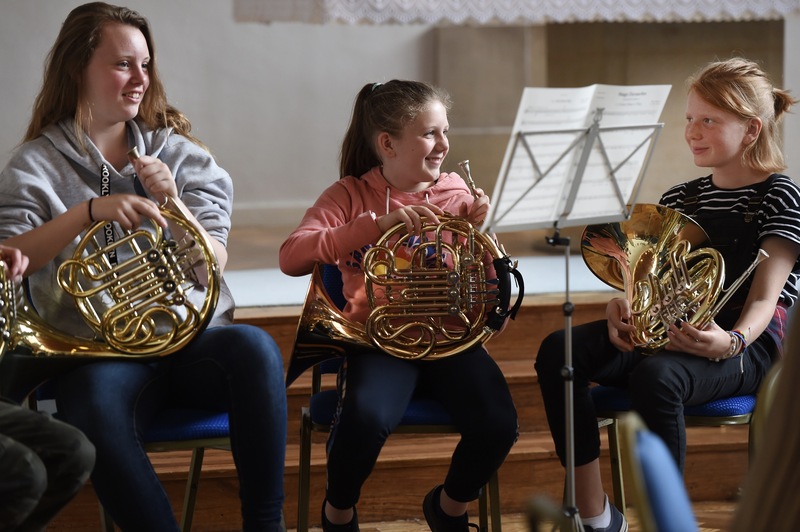 Eighty students aged between 8 and 15 spent up to three days learning from our eighteen wonderful Ambassador tutors, many of whom are recent graduates of the NYOS pathway. We began with the Wind Training Ensemble, directed by Stephen West. Our wind students were instructed on presentation, audition preparation, and of course ensemble playing. Next up was the String Training Ensemble, led by Roddy Long. The group spent much of their three days together in full rehearsal, learning to listen to each other and work as a team. Lastly, we had the Brass and Percussion Training Ensembles running concurrently, with directors Steven Cowling and Tom Hunter. 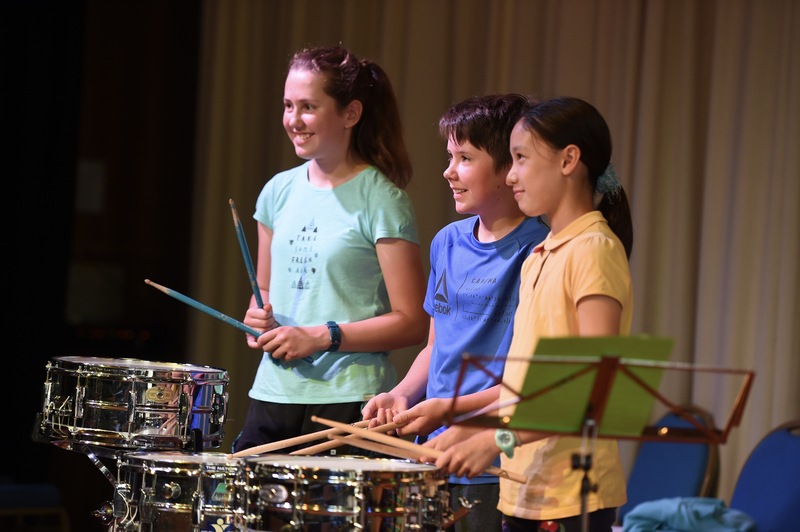 The brass students showed a high level of ability from the outset, while the percussion students were challenged to play new instruments. 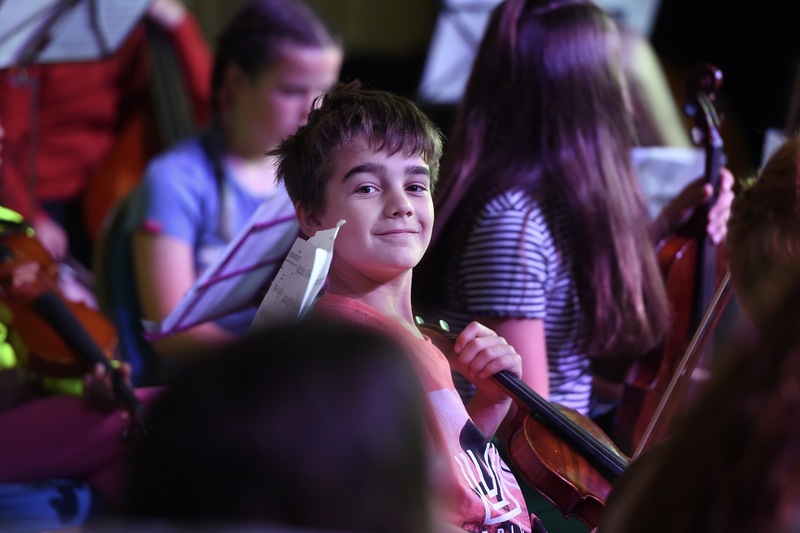 Each course ended with a private showcase concert for friends and family and included some popular classical pieces alongside some well-known film scores with students introducing the music themselves.